Just a few days before Christmas 2005, a couple was out on a date in Bloemfontein, South Africa on a Saturday night. A thief approached them in the dark. He was holding a knife, and demanding to take their money. This criminal stole the woman’s purse and started running away. The man was so focused on escaping that he jumped over a fence… which just so happened to be the wall to the zoo. When he landed, he found himself inside of the tiger’s den. The next morning, the thief’s body was found inside of the den. Since the tiger had been well-fed, it didn’t feel the need to eat the man. But just like most cats who finally catch their prey, the tiger had killed the thief in the middle of the night. We can imagine that it must have been purring loudly for its job well done chlorinating the gene pool by the time the security guards came to recover the body. For hundreds of years, missionary groups have taken it upon themselves to bring Christianity to native populations — whether those populations wanted it or not. Even after all this time, there are still some untouched tribes that have miraculously survived with virtually zero interaction with the outside world, like the Sentinelese tribe on the Andaman Islands off the coast of India. The tribe has lived on that island for tens of thousands of years, and was briefly colonized by Great Britain. Since then, the majority of their population was wiped out, and there are only believed to be about 50 to 150 people left alive. Once India gained its independence, the island was left alone so that the natives could live in peace. Tourists have been instructed that it’s strictly forbidden to attempt to come in contact with this tribe, because of the potential to infect them with disease from the outside world. Even taking pictures from a boat is punishable for up to 3 years in prison. The tribe has been known to attack outsiders, because they must have grown up hearing stories of foreign men who came to enslave their people. But we should all know by now that there is nothing that can stop the irrational overconfidence and entitlement of a Millennial. In November 2018, a 26-year-old American man named John Allen Chau paid fishermen to bring him to the Andaman Islands, even though he knew this was dangerous and illegal. He even took a selfie and posted a picture of himself on his way to the island, and posted it on Instagram. His goal was to preach Christianity to these natives, even though they couldn’t speak the same language. When the fishermen came to pick him up, the tribe had shot John multiple times with their arrows, and they used a robe to drag his body to the beach so that the fishermen couldn’t retrieve his body. 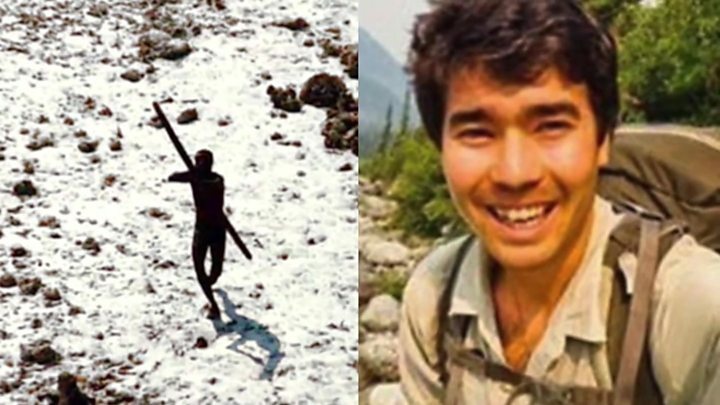 The fishermen were all arrested for illegally transporting Chau to the island, but since the laws of the outside world do not apply to the Sentinelese people, no one is going to be held accountable for his death. Remember Segways? When they were first invented, some people believed that they would be the way of the future, but today the only people who seem to use the upright transportation devices are mall cops. When they first premiered, Segway claimed that their cross-country model was going to revolutionize the way people explore the great outdoors on their commute to work. Of course, since they cost thousands of dollars, there is a very limited amount of people who would ever buy one of those things. One of these customers was a millionaire named Jimi Heselden. He had amassed his fortune by selling defense items, essentially profiting from the spoils of war. But he wasn’t just a Segway customer — he bought the company in 2010. That same year, he couldn’t even be bothered to go for a normal walk like a peasant. He was riding his Segway around the countryside of West Yorkshire, when he somehow lost control of the vehicle, and ended up going straight into the Leeds River. Now, the real question is: If he knew the Segway was out of control, why didn’t he just jump off? We may never know. This next story is an example of how someone doesn’t necessarily have to die in order to win a Darwin Award, and that the universe must enjoy a bit of irony. On Halloween 2017, a 19-year-old man named Terrion Pouncy held a Chicago hot dog vendor at gunpoint, demanding to take all of the cash he had in his cart, and his wallet. No word on whether he also demanded a snack, but if he did, considering this was Chicago, we can rest assured he didn’t ask for any ketchup like some cretin. Pouncy chose an awful time to try to rob the cook, because the victim was in the middle of holding a pan of hot grease. He dropped the pan in order to reach for the money, and it ended up splashing boiling hot grease all over Pouncy. During this confusion, Pouncy accidently set off the gun while it was pointed at his own… er, “hot dog.” During the commotion, the vendor was able to jump on Pouncy, and he was later caught by the police. He was rushed to the hospital, so while he is still alive, there is a good chance he won’t ever be able to have kids. It was a cold, dark December night in Pittsburgh, Pennsylvania in 2017, when a thief attempted to steal expensive tires off of a van. In the darkness, he cut open a wire fence and rigged up the van with cinder blocks. Almost anyone would know that this is a terrible idea, but this man continued on with the plan — at least, until the van collapsed on top of him while he was laying under it. The next morning at 8:50 a.m., the police found the body of this unidentified man crushed under the van. Based on the tools and tires surrounding him, it was obvious to them what had happened, but the police were not able to figure out who he was. On December 31, 2010, thousands of people were gathered for New Years Eve in Moscow’s Red Square getting ready to countdown for the beginning of 2011. A woman who was part of a terrorist group was strapped with a suicide belt bomb, and they were using a brand new cell phone as a detonator. Their plan was for the woman to walk into the middle of the crowd, hide the bomb, and then they were going to text the phone at midnight to set off the explosion. This would have killed hundreds of people, at the very least. On her way to Red Square, though, the cell phone company sent a generic “happy holidays” message to the new phone number. This set off the bomb early, making the unnamed woman the one and only victim. Two of her accomplices were witnessed running away from the explosion. When they were caught, they were identified as being part of a radical Islamic group that was responsible for setting off a bomb at an airport a few days prior. In 2017, a man named Anthony Powell was serving a life sentence in the Oregon State Penitentiary for killing his father-in-law by stabbing him to death. He was high on meth at the time, and clearly, he hadn’t learned his lesson. While he was in jail, he met a woman named Melissa Ann Blair online. She was a fellow drug addict who just so happened to have a thing for convicts. When Blair visited Powell in the visitor’s room, they exchanged a passionate kiss. Unbeknownst to the guards, Blair was passing seven small balloons filled with meth into Powell’s mouth. He swallowed these regurgitated balloons, planning to pass them later when he got back to his cell. The felon must not have thought this plan through very clearly, though, because the balloons ended up rupturing on the way down, and he died of an overdose. Blair was arrested and found guilty of committing a drug conspiracy. In Southern Arizona, there is a breed of cactus called “saguaros” that are iconic fixtures of the Old West. Some of these plants can live as long as 300 years, and they can grow as high as 60 feet. There are laws protecting these endangered cacti, but that doesn’t stop bored and stupid young men from “cactus plugging,” which is where they use these saguaros as target practice. The goal is to bring guns and ammunition out into the desert so they can riddle a cactus with so many bullets holes it falls to the ground. In 1982, a man named David Grundman was cactus plugging with his roommate, James Joseph Suchocki. The two men were laughing and destroying these hundred-year-old plants one by one. He must not have judged the distance of one of these extra large saguaros, because the cactus came straight down on top of him, and impaled his body with spikes. He died almost instantly. There is a stereotype that stock brokers are high-strung, pumped up on a never-ending fuel of caffeine and adrenaline. This was especially true back in the 1980s and ’90s. One only has to watch The Wolf of Wall Street to know that it was commonplace for stock brokers to do lines of cocaine in their office to help keep them awake and motivated to do their trades. While we don’t know the ins and outs of his personal life, Jack Sullivan was one of these successful brokers who made a killing working on Wall Street. After becoming a millionaire, he decided to retire in his 40s and move to San Francisco with his wife. One Sunday morning in 1996, he woke up and went on a run at the Lincoln Park Golf Course. His wife, Catherine, said that he had a habit of carrying a tape recorder with him so that he could talk about all of his brilliant business ideas while he went on his run. Unfortunately for Sullivan, he was a little too absorbed in himself, instead of being aware of his surroundings. He ran full-speed off the side of a cliff known as Eagle’s Point overlook, and died at just 49-years-old. In 1979, a man named Nitaro Ito was running for the Japanese House of Representatives. He was afraid that he wouldn’t actually win the election, so he concocted a plan to gain sympathy from the voters, and also make his competition look bad in the process. He wanted to pretend that he had been attacked by a gang of thugs. Without even pointing any fingers, this would have begun a conspiracy theory that these men were hired by his competitors and sent to kill him. In order to make this a convincing story, he had to stab himself, of course, so that he would have some kind of proof that an attack actually happened. He decided to grab a huge kitchen knife and lunge it into his own leg. Unfortunately for him, Ito hit a major artery, and he died before election day. How is Jack Sullivan’s death a Darwin Award? Many people think it was a suicide and if it wasn’t, the trail he used can be treacherous. So Mr. Sullivan doesn’t belong on a Darwin List, it’s baffling that he is on here.